Known as an intense competitor, Gene Mauch presided over 1,902 Major League victories, and a handful of stunning failures. Mauch had a reputation for taunting opposing teams and was frequently involved in fiery exchanges with umpires. His bombastic personality, brilliant baseball mind, and loyalty to his players earned him the moniker of the Little General. SKU: 9781935628538. Categories: Sports & Recreation, Baseball. Tags: baseball, California Angels, Gene Mauch, Mel Proctor, Minnesota Twins, Montreal Expos, Philadelphia Phillies, the little general. 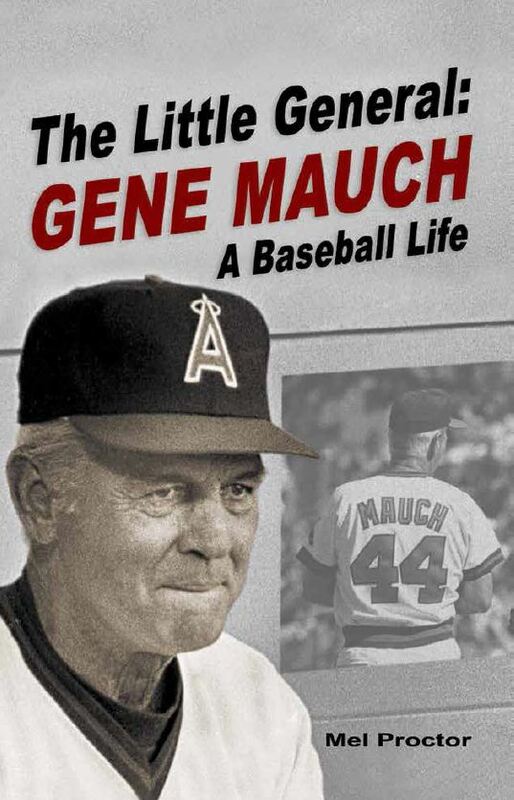 Gene Mauch enjoyed a journeyman’s career playing in the infield for six different Major League Baseball franchises, but as a MLB manager he is nothing less than a legend. Gene led clubs for 23 of 26 years stretching from 1960 to 1987 including the Philadelphia Phillies, Montreal Expos, Minnesota Twins and two stints at the helm of the California Angels. Mel Proctor has more than three decades of professional baseball broadcast experience. He has conducted more than 2,000 sports interviews over his career and is the author of I Love the Work, but I Hate the Business. Currently operates Mel Proctor Sports Media where he coaches college and pro athletes, executives, and coaches about the different types of media and develops their skill set and game plan to effectively communicate with the media. Mel lives in San Diego, California. Comprehensive and up-to-date information on the mental strategies used by top collegiate and professional pitchers. The 50 Greatest Detroit Tigers brings to life fabulous and famous moments in team history, from Ty Cobb’s masterful wizardry that brought him 12 batting championships, to Al Kaline becoming the youngest player win an American League batting title. Detroit Red Wings: Hockeytown USA Trivia, Fun & Games is an account of what makes the Red Wings special. The authors take readers on a journey of discovery to the great moments in the history of one of sports most successful franchises. Covering both the well-known and little known events this book will educate and entertain young fans as well as test the knowledge of the true die-hard Red Wings hockey faithful. In Detroit Red Wings: Hockeytown USA Trivia, Fun & Games you will learn about the team and its proud past. An essential item for Red Wings fans, this book will test just how well you know your favorite team.